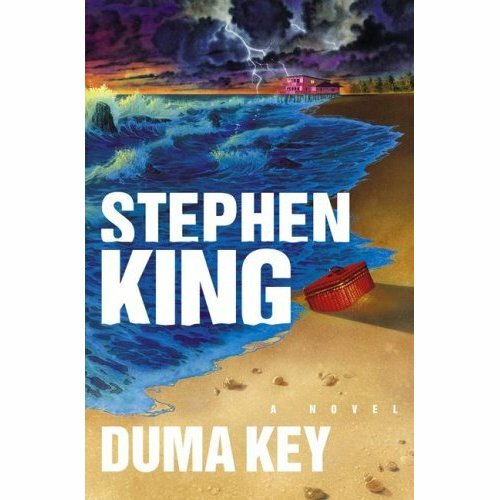 finished up DUMA KEY in less than ten days. now that wins a gold star cuz i never finish a book that quickly since smockling number two came down the pike. this is sir stephen's best work since his accident in june of '99 and probably his most mature work, in terms of voice, to date. while i do not have time to review it at length this very minute i just want to say that this is his most heart-touching and gut-wrenching character study since IT. what it lacks in gore it makes up for in outlining and exploring the complex emotions of relationships and love. what? yes, you read that right. even LISEY'S STORY, a love story of sorts [and which i saw more as an homage to his spice tabitha than anything else anyway] did not attempt such complexities. in DUMA, sir stephen grapples with both the pains and joys of love. . .as a spice, as a parent, and as a friend. king's back and this constant reader couldn't be more thrilled. Nine years is a long time. His accident really threw him for a loop. If I ever get my reading mojo back, I will pick this up. thanks, miz b. let me know what you think when you do. This page contains a single entry by smockmomma published on February 14, 2008 9:03 AM. Fine Art Friday - The Letter G Edition is the next entry in this blog.